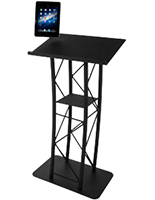 This literature tablet floor podium is designed to support both an iPad as well as printed notes, books, or other media. 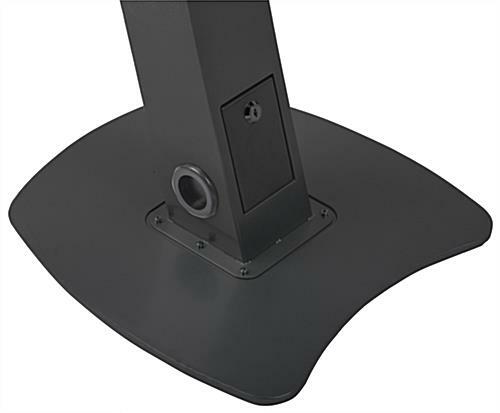 Each 50" tall aluminum stand contains a locking device enclosure that can be used in either portrait or landscape orientation as needed. 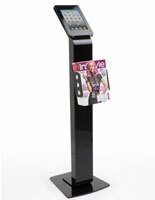 The silver finish tablet floor podium with book display holds a variety of iPad sizes, including 2nd through 4th generation and the Air 1 and 2. 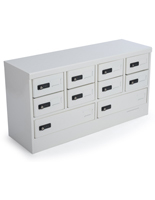 The pulpit has a locking steel enclosure has two locks for maximum security and elmininates Home function access. 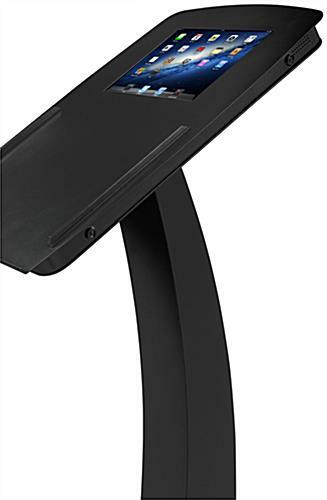 Each freestanding silver tablet floor podium for multimedia presentations or readings features in-column device management as well as integrated charging. 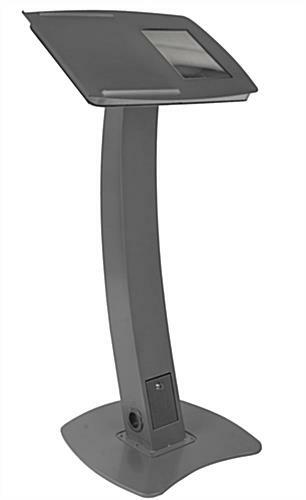 This versatile 50" tall podium is an ideal choice for use in meeting and conference halls, churches and other ministry locations, schools, and businesses. 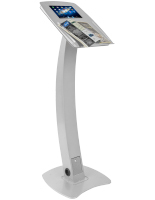 This silver finish floor podium with iPad enclosure and reading surface is designed to make it easy to use printed reference materials as well as digital. The dual-locking enclosure keeps valuable devices safe, making it a great choice for use in public environments. 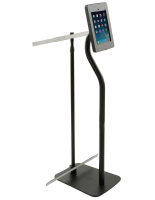 The freestanding floor podium with built in tablet holder, power, and cord management supports Apple Gen 2-4 and the iPad Air. 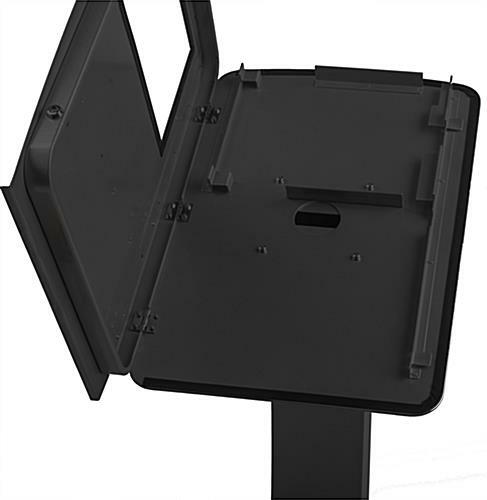 The interactive display is an ideal support for presentation, speech, sermon, or reading materials for commercial, facility, or institutional use. 16.5" x 50.0" x 16.0"
16.5" x 0.25" x 16.0"
13.8" x 20.0" x 1.3"